These photographs were selected to show the original configuration of this class and major subsequent modifications. For most classes many other photographs exist. For more complete online collections of U. S. Navy ship photographs see in particular the NHHC Online Library of Selected Images and the NavSource Photo Archive. 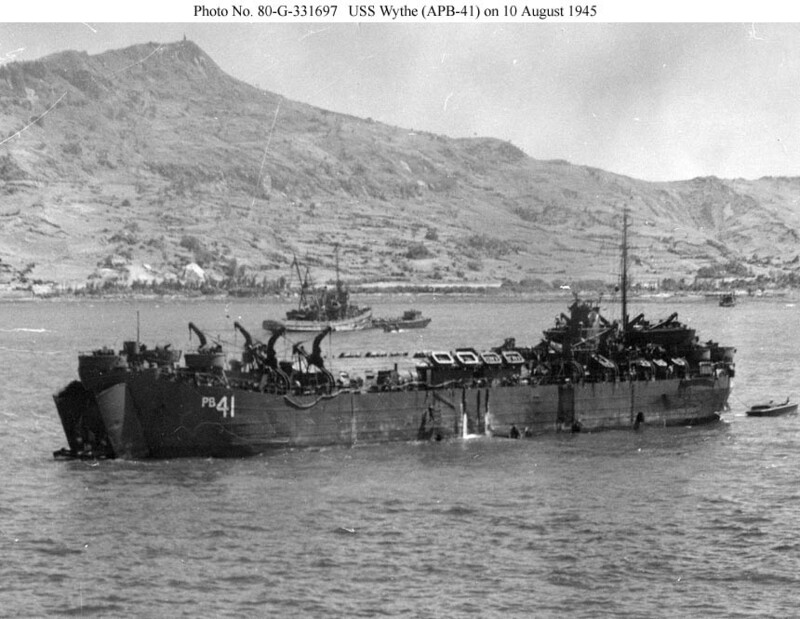 In Buckner Bay, Okinawa, on 10 August 1945. She is serving as administrative flagship for Commander, Naval Forces, Ryukyus, providing berthing and messing for 140 men. 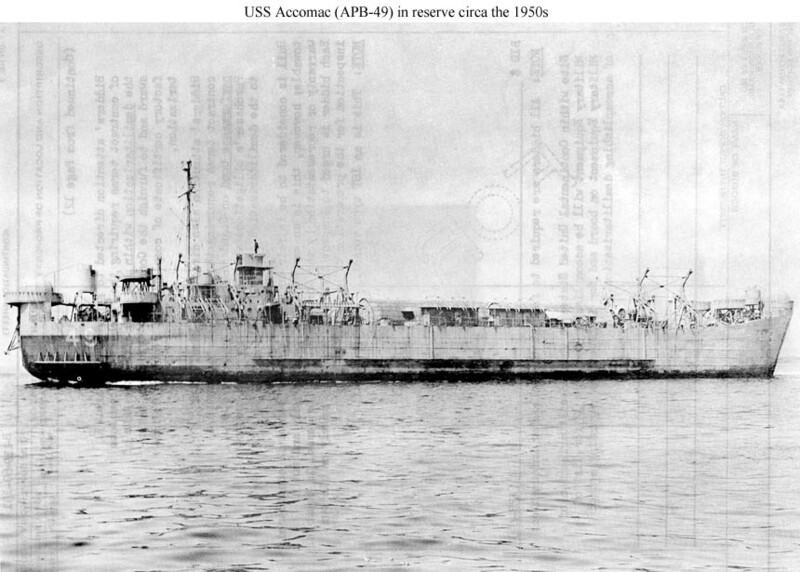 Note the quonset hut on deck and the open bow doors, possibly with an amphibious vehicle (LVT) exiting or entering. Note the quonset hut on deck. 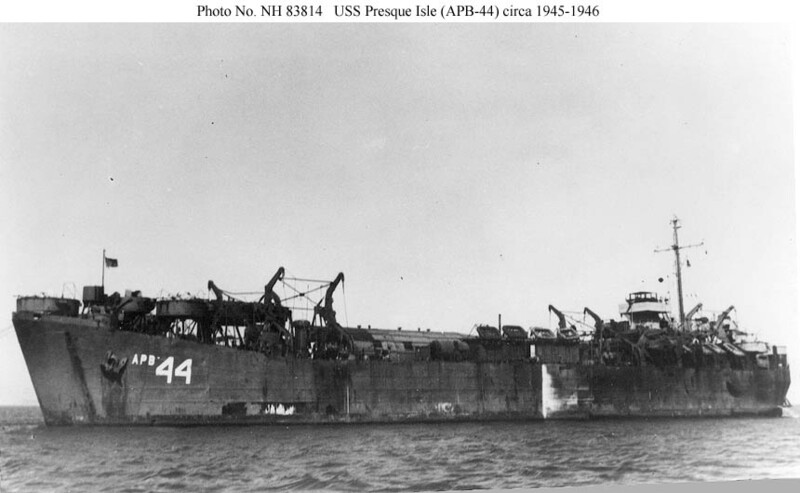 The ships of this class had six sets of Welin davits, as did many LSTs. In reserve during the 1950s. This photo was copied from the brochure that offered the ship for sale for scrap, and the text on the other side of the page has bled through into the photo. It is possible, however, to make out two quonset huts on deck, one long and one short, and six Welin davits. The 40mm quadruple mounts at bow and stern are cocooned, and the ship may be under tow, backwards.